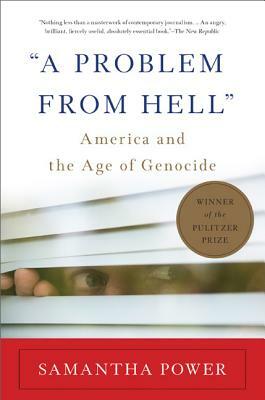 In her Pulitzer Prize-winning examination of the last century of American history, Samantha Power asks the haunting question: Why do American leaders who vow "never again" repeatedly fail to stop genocide? Power, a professor at the Harvard Kennedy School and the former US Ambassador to the United Nations, draws upon exclusive interviews with Washington's top policymakers, thousands of declassified documents, and her own reporting from modern killing fields to provide the answer. "A Problem from Hell" shows how decent Americans inside and outside government refused to get involved despite chilling warnings, and tells the stories of the courageous Americans who risked their careers and lives in an effort to get the United States to act. A modern classic, "A Problem from Hell" has forever reshaped debates about American foreign policy.